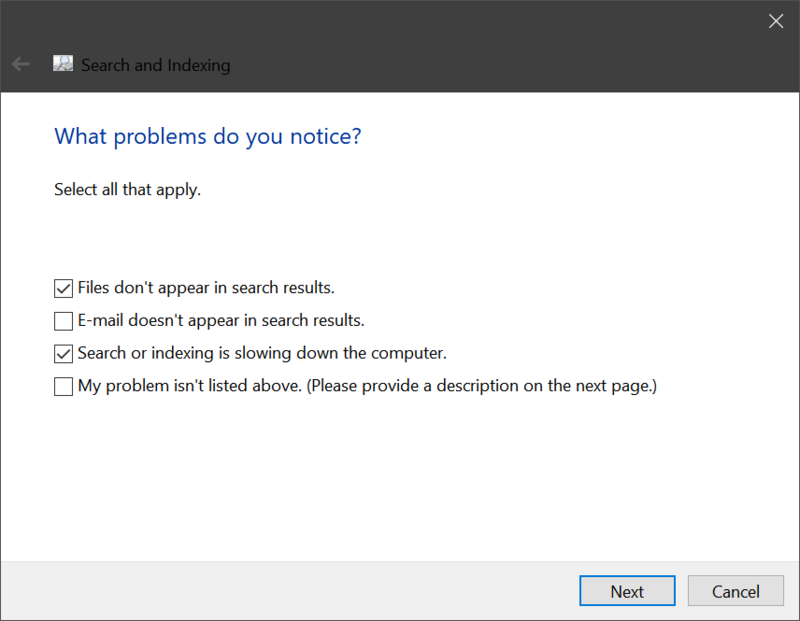 If you’re having problems using Cortana or Search on Windows 10, we have here some effective methods that are going to help you fix this problem. If you haven't already restart your computer to see issue resolves. 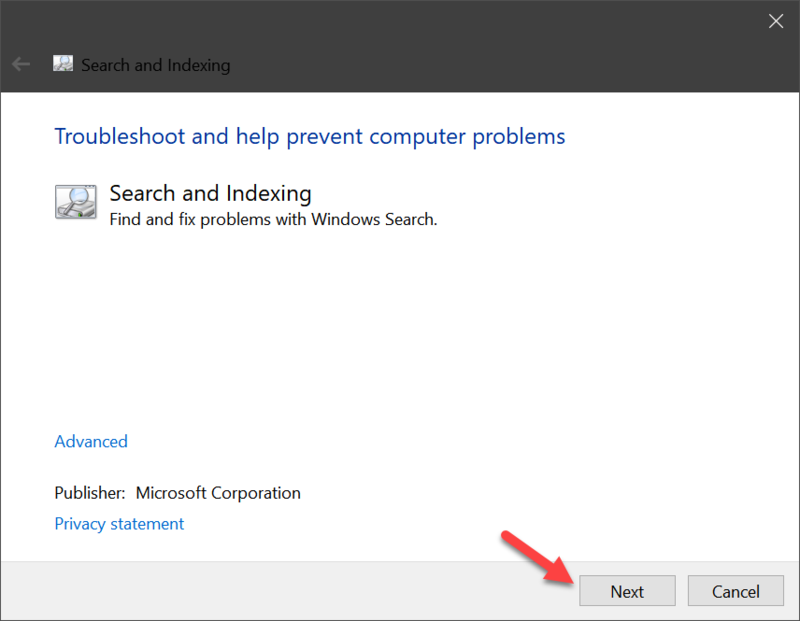 If your search problems persist following a restart, read on! 1. 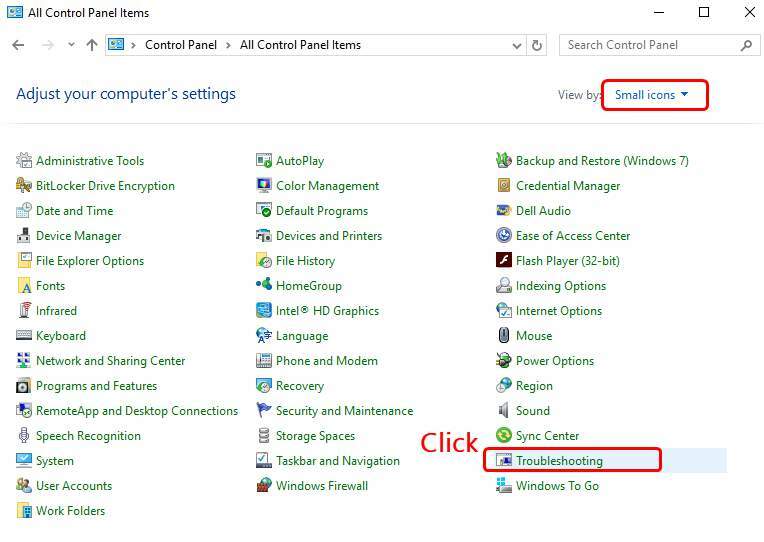 On your keyboard, press the Windows + R keys at the same time, type in control and press Enter. 2. Select view by Small icons, then click Troubleshooting. 4. 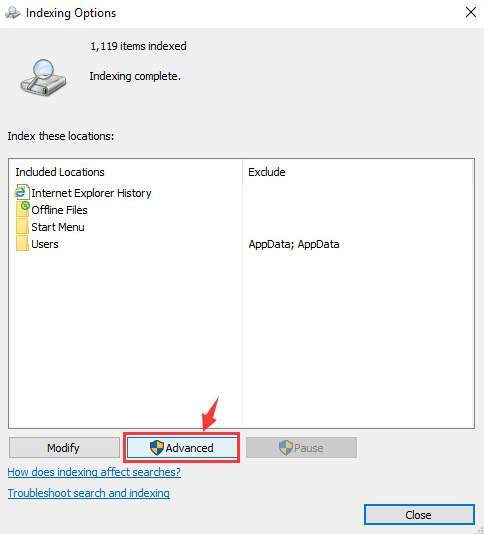 Click Search and Indexing. 6. Tick the box or boxes for the appropriate troubleshooting process you see. Then click Next button to continue. 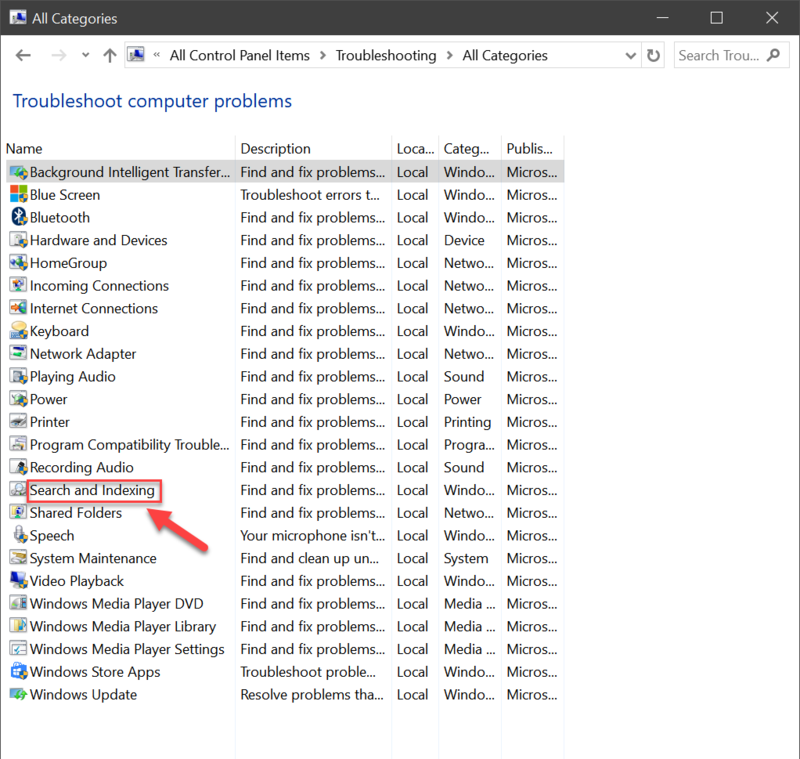 When the troubleshooting process finishes, Windows 10 should be able to tell you what went wrong and what you can do to fix it. 1. 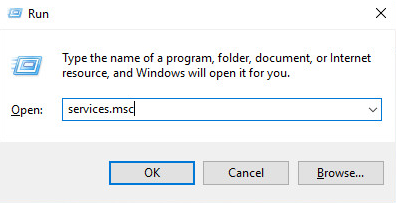 On your keyboard, press the Windows + R keys at the same time, then type services.msc in the Run search box and press Enter key. 2. 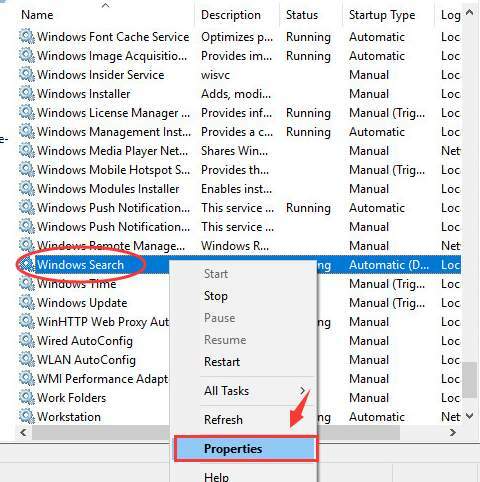 Press W key to faster locate Windows Search service, and then right-click it and choose Properties. 3. Change the Startup type to Automatic, and then click on OK and Apply buttons to save the change and exit. 1. 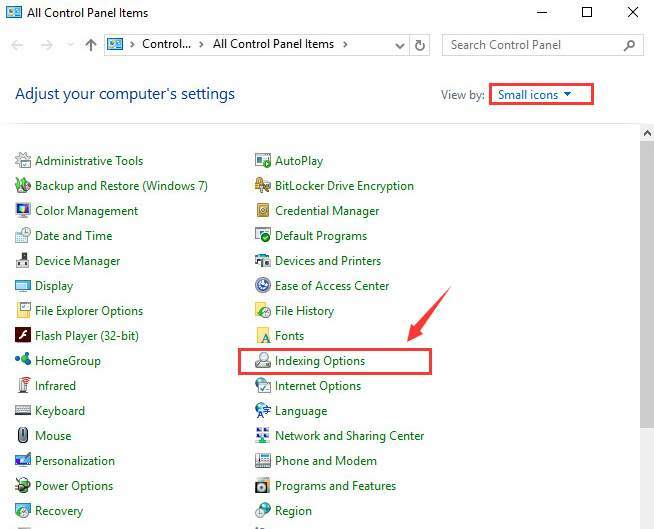 Open Start Menu > Control Panel > Indexing Options. 3. 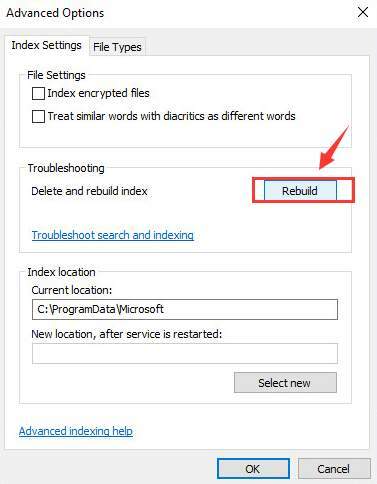 In the newly open window, click Rebuild button under Troubleshooting category. You will be seeing this notification window, just click OK to continue. 1. Open an elevated PowerShell window, press Win + X keys to open PowerShell. 2. Execute following commands one at time. 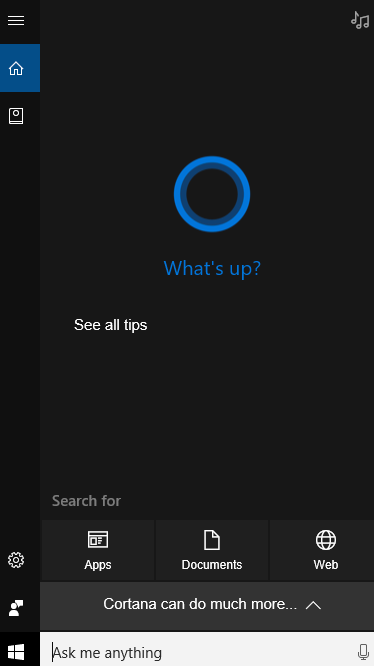 If the above options still cannot help you fix the Cortana or Search issue in Windows 10, you might need to perform a Repair Install of Windows 10 , without losing anything.